It's no wonder this build is taking longer than I planned when I go and do things like this. For a variety of reasons I've remade all of the seat bases in the cabin. 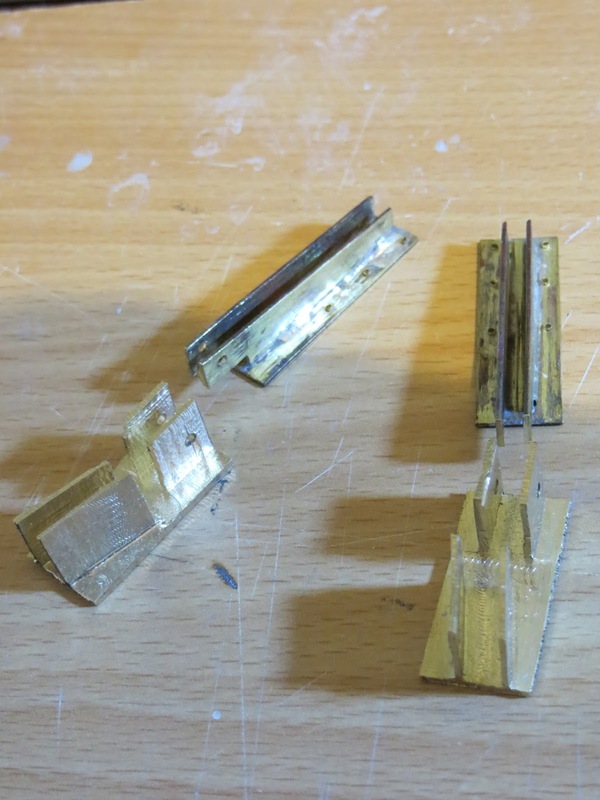 First, I somehow lost one of the bases and I didn't want to stretch the kindness of Model Slipway again in trying to get spare parts. Secondly, I'd not sanded all of the bases to the same size when cleaning up the excess plastic from the vac form and I felt there was no guarantee I'd get it right a second time. As the new bases would be higher than the kit parts, they should also look better due to the lowering of the cabin floor. Finally, where I've modified the seats, the frames are slightly different widths to the dimples on the kit parts which had made drilling the holes tricky. 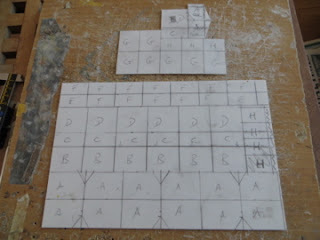 The first job was to mark out the parts on 1mm styrene sheet. This pic shows this, there's 10 parts per base. I built the bases in two parts; the seat base itself and the lower foot rest. The backs of the seat bases have rounded corners so I glued 3mm square rod inside the join and then sanded the corners round. I then joined the two parts together. This pic shows all the bases temporarily in position, with a kit part for comparison. Next job is to drill the holes for the seat frames and the damper. The seats still need some work as well. This time, I've been working on the brackets on the stern for the transom door hinges and trim tabs, and the door hinges themselves. Big thanks must agin go to my mate with a milling machine who made up the basic parts. These are shown in the first photo below. 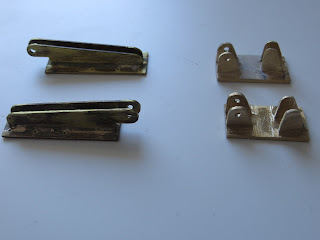 The hinges are made from brass strip soldered together whereas the brackets are milled from a block of brass. Then it was over to me to shape the parts, for which I broke out the cutting disc on my Dremel and various files. I'm really pleased with the results which will hopefully give a strong working hinge without being too over scale. Now, I need to get me head around mounting the servo to operate the door and designing the servo linkage and dummy hydraulic rams. During many a family holiday to Bournemouth, I used to walk past Westborne Models and saw a model lifeboat in the window. Ever since I wanted to build one, and a couple of years ago I bought the Model Slipway Trent lifeboat kit. Several delays later, not least a 6 month lay off after I broke my collar bone mountain biking, it's nearing completion. 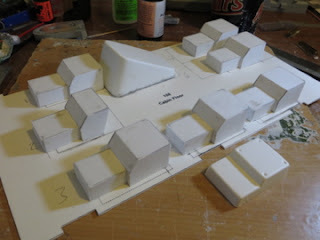 This blog will track the rest of the build, and my future builds.